The U.S. government recently put export limits on 44 Chinese entities that all happen to have major roles in China’s “One Belt, One Road” infrastructure project. The Bureau of Industry Security (BIS), an agency within the Department of Commerce, added the Chinese parties (8 entities and 35 subordinate institutions) to its export control list on Aug. 1, citing a significant risk to U.S. national-security and foreign-policy interests, according to an announcement published in the Federal Register. Companies on that list face tough restrictions if they wish to buy items, software, technology, or services that have dual military and civilian uses under U.S. Export Administration regulations. 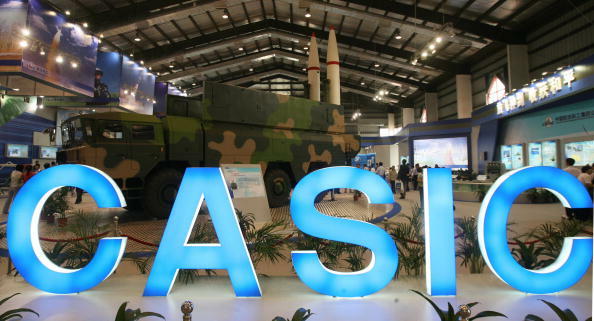 Two major state-run companies control most of the subordinate institutions identified by BIS: China Aerospace Science and Industry Corporation (CASIC) and China Electronics Technology Group (CETC). CASIC focuses on aerospace technology while CETC is a maker of radars, drones, and telecommunications equipment. Two other companies with ties to CASIC and CETC are also cited—China Volant Industry, a subsidiary of CASIC; and Hebei Far East Communication System Engineering, a subsidiary within a research institute under CETC. All 44 entities must obtain a license if they seek to export, re-export, or transfer items listed under federal export regulations. When applying for such a license, these entities are under the policy of “presumption of denial,” meaning that without a compelling reason, the United States would not offer a license. In a June 5 article, The Diplomat outlined in detail how the One Belt, One Road project could threaten the United States’ leadership established in the Eurasian continent since World War II. One potential outcome is that China’s naval forces would be able to work with overland projects along the route, thus marginalizing the United States’ geostrategic influence in the region. CASIC’s involvement in One Belt, One Road is well-documented. The initiative started in 2017 as an ambitious investment project that would revive the ancient Silk Road trade route between China and Europe. Under the initiative, the regime would build infrastructure along the route, spanning countries in Central Asia, the Middle East, Europe, and Africa. CASIC has taken on projects in many countries, including a self-checkout airport project in Hong Kong; a seaport security project in Pakistan; and electricity control projects in Indonesia, Malaysia, Uzbekistan, and Bhutan, according to a May 2017 article published on China’s Ministry of Commerce website. In Kenya, the company helped expand the country’s electricity grid. And in Cameroon, CASIC developed a sewage-treatment project. On July 9, Pakistan saw the successful launch of its two remote-sensing satellites in China, using a rocket made by CASIC, according to the website of China’s State Council. Meanwhile, CETC’s presence along the OBOR route can be found in Egypt and Austria. CETE Electronics Equipment Group, which was founded and established by CETC, signed a partnership with Egypt’s Academy of Scientific Research and Technology, to build a joint renewable-energy laboratory, according to a March 2016 report published on the website of CETE Electronics Equipment Group. Then, in November 2016, CETC announced the creation of a company in Graz, Austria, for the purpose of reaching out to companies and schools in Europe, according to Chinese news portal Sina. CETC’s subsidiary, Hebei Far East Communication System Engineering, reported on its website on July 21 that it was responsible for the construction of a national emergency command system in Ecuador, a railway communication system in Hanoi, Vietnam, and an electricity project in Congo.